April 22 was Earth Day, an annual event since the start of the ecology movement in 1970. In past years, while sounding the alarm about global warming and other human-created threats to life on earth, Earth Day demonstrations were not aimed primarily at the political party in power. This year was different. 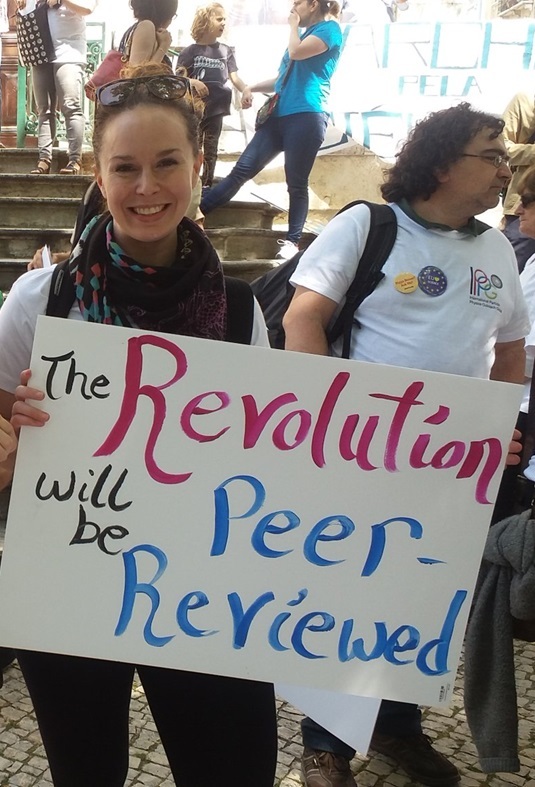 At some 150 “Marches for Science” across the US, the day was all about opposing Trump: (1) his reducing funding for government services including the Environmental Protection Agency and the National Institute of Health, and reducing funding for scientific research and for education, and (2) his debasement of the concepts of truth and evidence-based knowledge. The latter is what made these Marches unique—who ever before saw hundreds of thousands of people turn-out to demand that truth be respected and employed? It was inspiring to see so many people out for the March for Science. The streets leading to Constitution Avenue and the Washington Monument were clogged with tens of thousands of people. Most scientists spend long hours in their investigations, and they mostly interact with other scientists. They are dismayed to see the anti-science opinions covered in the news on climate change, immunizations, evolution, GMOs, and other scientific results, strongly supported by evidence. Who knew so many people think science and truth are so important that they came out to march on a wet, rainy day? It was particularly inspiring to see so many kids marching with their parents. 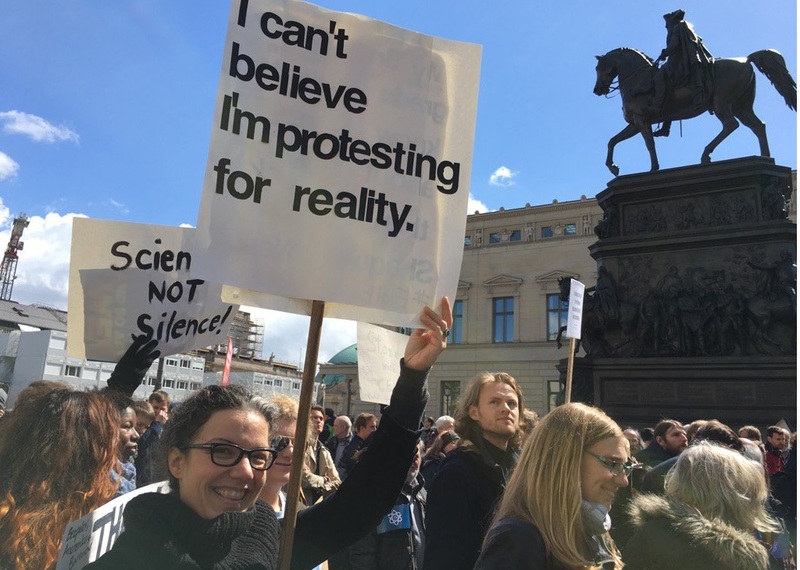 Protests took place around the world that day, not only because it was Earth Day, but also to protest Trump’s attacks on truth, just as people around the world had come out to express solidarity with Americans on the January 22 and March 8 Women’s Marches. 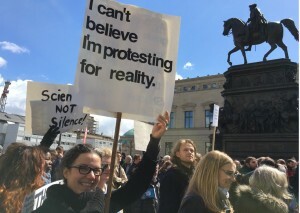 There were some 580 protests world-wide on April 22, including in London, France, Ireland, Finland, Germany, Portugal, Uganda, Antarctica, the Netherlands, and a 10,000-person protest in Berlin.